Dr. Beg is a clinical psychologist and licensed in the province of Ontario, currently working as the Director of the Student Counselling Centre at the University of Windsor. He earned his undergraduate degree in Psychology at the University of Toronto and completed his Master’s degree and Ph.D. in Clinical Psychology from the University of Windsor. 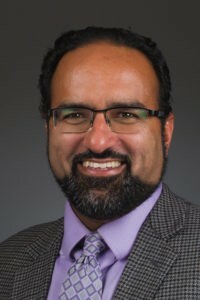 With more than 15 years’ experience in the mental health field, Dr. Beg has trained and worked in a wide variety of clinical settings including: a mobile psychiatric team; a children’s mental health facility; an emergency room and Level I trauma hospital in downtown Detroit; the forensics unit of the former Clarke Institute of Psychiatry; and at the University of Indiana School of Medicine. Dr. Beg works with children, adolescents, and adults. 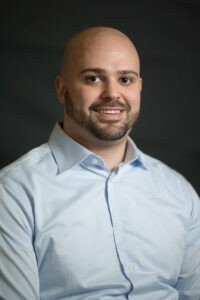 His clinical interests are in the area of treating anxiety and depression, addressing mental health issues in the workplace and at the postsecondary level, trauma counselling, and psychoeducational assessments for learning disabilities and ADHD. He has a particular interest in the development of resilience and “grit” as a key element in assisting individuals to help overcome their particular challenges. Dr. Beg is also an active member of the community having served on the Board of Directors for the Windsor Essex County Children’s Aid Society and the Windsor Family Health Team. Dr. Clark is a licensed clinical and school psychologist in the province of Ontario. He earned his undergraduate degree in Psychology, and later his Master’s and Ph.D. degrees in Clinical Psychology from the University of Windsor. He specializes in the treatment and assessment of children, adolescents, and adults. Dr. Clark’s training and clinical experience consists of work in a variety of settings, including education, health care, and private practice. He completed his pre-doctoral internship at BC Children’s Hospital in Vancouver, where he focused on child and adolescent mental health and pediatric somatic symptom disorders. More recently, Dr. Clark served as the Mental Health Lead at the Windsor-Essex Catholic District School Board and then staff psychologist at the University of Windsor’s Student Counselling Centre. Dr. Clark is passionate about both training future psychologists and volunteering with local mental health agencies. He has regularly supervised prospective members of the College of Psychologists of Ontario, while also providing training for graduate students of the University of Windsor’s Clinical Psychology Program. 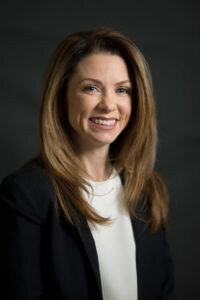 In recent years, Dr. Clark has served as a board member for the Distress Centre of Windsor-Essex County and Maryvale Adolescent and Family Services. Dr. Clark’s clinical interests include: child and adolescent mental health; anxiety and mood disorders; trauma counselling; and the assessment of learning disabilities and attention-deficit/hyperactivity disorder (ADHD). Samantha Corriveau earned an undergraduate and a master’s degree in Social Work at the University of Windsor. She supports adults, teens and children experiencing challenges with anxiety, depression, low self-esteem, grief, trauma and pregnancy infertility as well as postpartum related issues. Samantha focuses on her clients’ difficulties and uses the appropriate therapeutic approach to connect them to long lasting solutions. Samantha strives create a foundation of trust in an environment that allows you to explore the future you have always hoped for. She collaborates with clients to incorporate multiple therapeutic methodologies such as cognitive behavioural therapy, acceptance and commitment therapy and narrative therapy. Samantha understands the importance of creating a unique experience and will tailor her approach to meet your specific needs. Dr. Shawn Harrington, is a Clinical Psychologist licensed with the College of Psychologists of Ontario. He completed his Ph.D. and M.A. in Adult Clinical Psychology at the University of Windsor. Dr. Harrington is licensed in the areas of adult and adolescent clinical psychology and adult rehabilitation psychology. 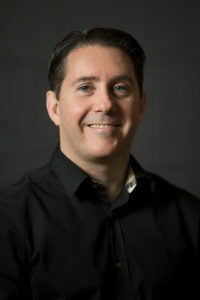 Dr. Harrington completed a pre-doctoral residency at the Dr. Everett Chalmers Regional Hospital and Stan Cassidy Rehabilitation Centre in Fredericton, New Brunswick in 2015-2016 where he worked in inpatient/outpatient rehabilitation psychology, inpatient health psychology, and inpatient psychiatry. His current practice in psychotherapy is grounded in emotion and psychotherapy research. Dr. Harrington’s clinical approach is integrative in nature, and is informed by emotion-focused therapy, cognitive behaviour therapy, motivational interviewing, and mindfulness. He is particularly passionate about working with local emergency services workers. 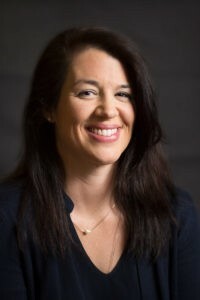 Dr. Olivia McGarragle earned her Ph.D. in Psychology from Wayne State University, Detroit Michigan and is licensed to practice clinical psychology and provide psychological evaluations and therapy to adults and children. She has been practicing as a Psychologist since 2013, and previously as a masters’ level Therapist in Michigan since 2008. 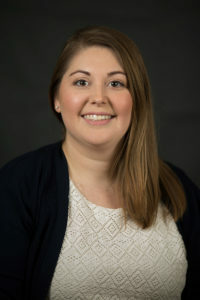 Through her work as part of a research team studying Obsessive Compulsive Disorder (OCD) and Attention Deficit Hyperactivity Disorder (ADHD) treatment at the Children’s Hospital of Michigan, Dr. McGarragle gained specialized training and experience in assessing and treating these disorders. She further developed an interest in assessment and treatment of adult ADHD through her dissertation research. 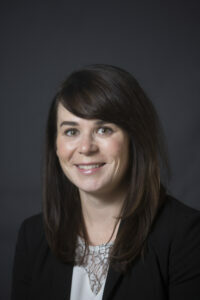 Dr. McGarragle’s work with the Canadian Mental Health Association and most recently the Teen Heath Centre in Windsor has further developed her interest in a variety of disorders in youth and adults. She is interested in evidence based practices in the treatment of anxiety and mood disorders and ADHD including cognitive therapy interventions, cognitive behavioural therapy, emotion-focused as well interpersonal/attachment based approaches to therapy. Dr. Andrew Taylor is a Clinical Psychologist licensed with the College of Psychologists of Ontario. He earned an Honours B.A. in Psychology from the University of Windsor and his M.A. and Ph.D. from the University of Detroit Mercy. 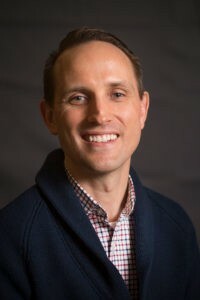 Dr. Taylor is licensed to perform individual psychotherapy and psychological assessments in the areas of clinical psychology and rehabilitation psychology and is authorized to practice with children, adolescents, and adults. Dr. Taylor has worked in a variety of mental health settings, such as the Teen Health Centre, Regional Children’s Centre, Maryvale Adolescent and Family Services, Windsor Group Therapy Project, and the Community Mental Health Clinic. He has been involved in a number of published research studies examining eating disorders, treatment motivation, and intellectual disabilities. A member of the Ontario Psychological Association and the American Psychological Association, Dr. Taylor is also a research scientist with the OZAD research centre. Trained in psychodynamic and cognitive-behavioural therapy, Dr. Taylor uses an integrative approach tailored to his clients’ individual needs and goals. In the context of a non-judgmental and confidential therapeutic environment, he works collaboratively with clients to determine realistic goals for therapy and to develop the insight and behavioural change that can lead to a more adaptive and satisfying life. 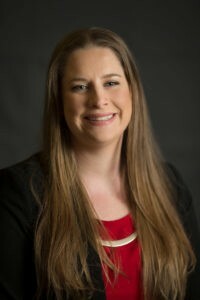 A graduate of the Masters of Social Work Program at Wayne State University in Detroit Michigan, Jennifer White is passionate about continually staying on top of the leading treatment developments by participating in several conferences annually throughout North America. Jennifer also holds an Honours Bachelor of Commerce degree from the University of Windsor and a Bachelor of Arts degree in Political Science from McMaster University in Hamilton, Ontario. Jennifer has specialized her counselling services in the area of Eating Disorders for nearly eight years, most recently as a therapist and social worker at WECHC, The Teen Health Site in Windsor, Ontario. She has devoted her career to helping individuals suffering with eating disorders – and their loved ones – restore control of their lives. Jennifer is a Certified Eating Disorder Specialist and structures her treatment on evidence-based practices that are designed specifically to meet the individual’s needs. Jennifer is certified as a Family Based Therapist, and provides insightful support to those who care for someone with an eating disorder to achieve optimal recovery rates. She is also trained in EMDR (Eye Movement Desensitization and Reprocessing Therapy) for the treatment of PTSD and simple trauma. Dr. Nicole Yarkovsky is a registered Psychologist with a Ph.D. in Clinical Psychology from the University of Windsor. Prior to graduate school, she obtained a B.Sc. in Biology and Psychology from McMaster University. Dr. Yarkovsky provides assessment and treatment to children, adolescents and adults for a wide variety of difficulties and concerns. While in graduate school, Dr. Yarkovsky provided clinical services to individuals and families through a number of placements in Windsor-Essex gaining hands-on training from local psychologists within a range of services offered in this area. As a capstone to her training, Dr. Yarkovsky temporarily relocated to Saskatchewan and completed a year-long accredited internship at the Royal University Hospital. Dr. Yarkovsky strives to take a client-centred approach, taking take time to understand each individual and their unique experiences and then tailor her assessment or intervention process accordingly. She has received formal training in multiple evidenced-based treatment modalities, including Cognitive Behavioural Therapy (CBT), Dialectical Behaviour Therapy (DBT), Experiential Dynamic Therapy (EDT), among others, and often combines these approaches to meet her clients’ needs and abilities. Jennifer is a proud graduate of the University of Windsor (B.A. Honours with Thesis) and McGill University (M.A. Counselling Psychology) and is registered as a Psychologist with the College of Psychologists of Ontario. Jennifer works primarily with children and adolescents, providing both assessment and therapeutic services. Jennifer is bilingual and is able to provide assessment services for students in both English and French. After 13 years working in the school systems, both as a Psychologist and most recently as the Mental Health Lead for the Windsor-Essex Catholic District School Board, Jennifer brings a wealth of knowledge and practice in the areas of School and Counselling Psychology. She is continuing to expand her provision of services to include work with adults. Jennifer has a particular interest in Perinatal Mood and Anxiety Disorders and has completed the Postpartum Support International Certificate Training in Perinatal Mood and Anxiety Disorders. Jennifer’s approach to therapy and assessment is collaborative, working with a variety of therapeutic techniques including Cognitive-Behavioural and Solution Focused modalities in working towards building positive mental health.